Mumford Hall was designed by J.S. Searfross. Located in Urbana, the residential building was completed in 1870. 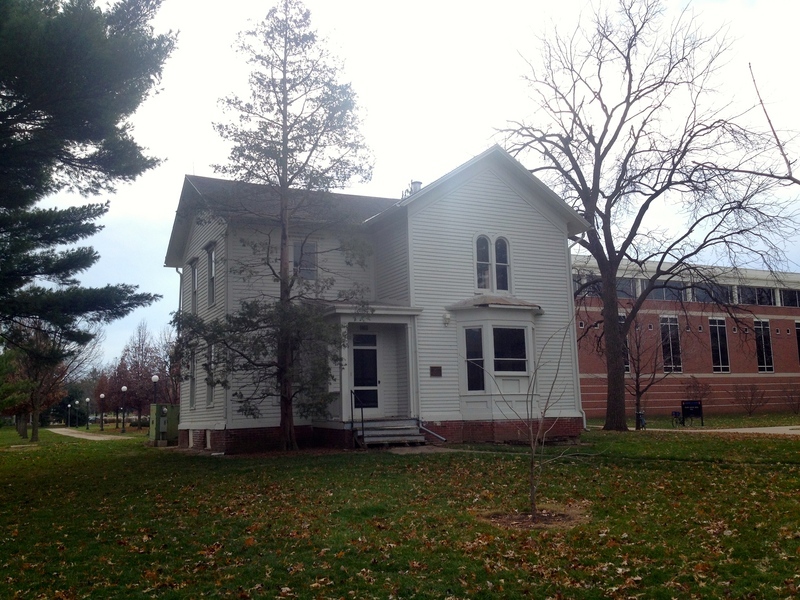 Mumford House was built in 1871, making it the oldest surviving building on the campus of the University of Illinois, and served as a model farmhouse for the University's experimental farm. The first resident of this building was Professor Thomas J. Burrill. 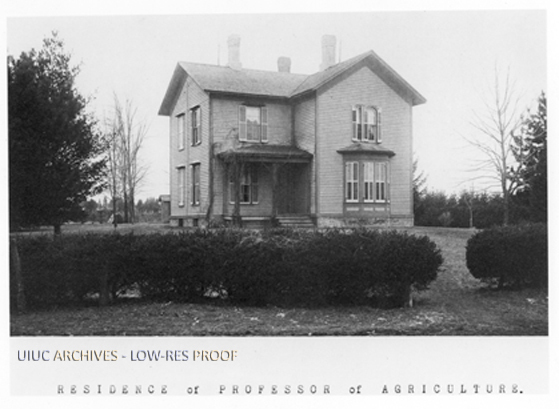 However, Professor Burrill only lived there for few years before the building was taken by Professor George E. Morrow, who helped to found the university's agricultural experiment station and became Dean of the College of Agriculture. After Professor Morrow, Dean Eugene Davenport occupied the house. Finally, after Dean Davenport retired, Dean Herbert W. Mumford, for whom the house is named, lived in the farmhouse for many years. After housing agriculture deans, the house was a home for the art professors who visited the University each year. The house is listed on the National Register of Historic Places, but fell into disrepair for many years due to a lack of upkeep by the University until 2010, when it underwent emergency restoration. 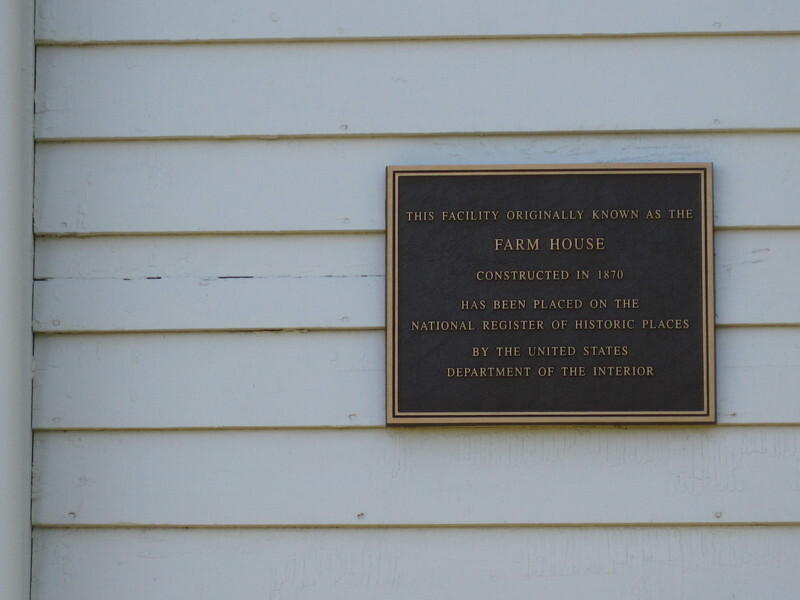 The original intention of the building was to represent a typical regional farmhouse through its appearance and serve as a learning tool for the School of Agriculture. However, as many Deans of Agriculture lived in this building through the years, it became famous as a Dean's House. 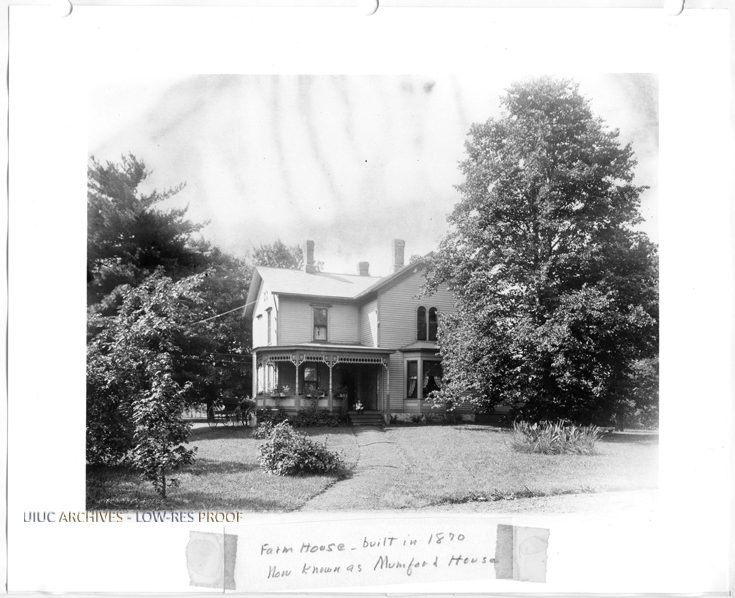 In fact, Dean Herbert Mumford, the building's namesake, lived in the house for more than 30 years. In its later years, the house served as a place for faculty offices. Despite the building being a residential type, no one has lived in the house in over twenty years. Mumford House is one of the oldest buildings on campus, though it has been damaged as time went as a result of poor care by the University. It is locked almost all year, the only time it is not locked being when architecture students carry out an in-depth building study of the structure. The interior of the house is completely empty and has significantly deteriorated over time due to poor heating management. However, plans are on the table to potentially renovate Mumford House and use it to assimilate eco-friendly and sustainable earth education into the University. This specific project was designed by an architect named J.S. Searfross. The location or name of a firm is unknown. Seeing as the house was done in the late 1800s, it is reasonable to assume that J.S. Searfross was a sole practitioner. Searfross worked under the supervision of the University of Illinois's First President, John Milton Gregory. J.S. Searfross built this farmhouse as a replica of an Experimental Farm House. Its architectural significance lies in the fact that it is an example of the nineteenth century practice of designing architecture from pattern books. It is built as a simplified Victorian Gothic design and that is seen as a reflection of Andrew Jackson Downing an architectural theorist and planner of the 1870s. One of the ideas that Downing preached and that Searfross put into action is that the many farmhouses of the time were lacking "sentiment" by being plain and rectangular. It is said, "the farmhouse is designed to afford a fair model for a farmer's house. It is tasteful in appearance, economical in cost, and compact and convenient in arrangement. We offer it as another contribution to rural architecture." Aside from the Mumford House, no records of J.S. Searfross or his work were found. Mumford House, ca. 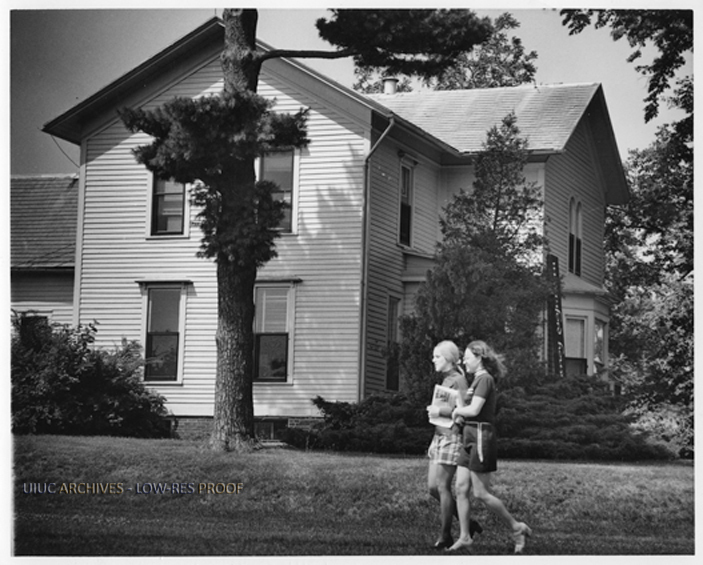 1965: Two young women walk in front of Mumford House on the University of Illinois campus. Image courtesy University of Illinois Archives. Please contact the Archives if you can help identify the copyright holder of this image. Mumford House, ca. 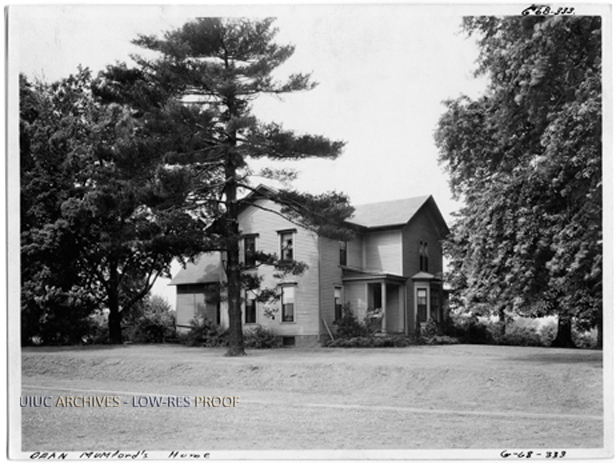 1900: Residence of the dean of the College of Agriculture, previously the farm house on the experimental farm and now known as Mumford House, showing the detail of the front of the house and the trees on the grounds of the house. Image courtesy University of Illinois Archives. Front room with arched windows, ca. 1992: Image courtesy University of Illinois Archives. Please contact the Archives if you can help identify the copyright holder. Bay window and wood floor, ca. 1992: Image courtesy University of Illinois Archives. Please contact the Archives if you can help identify the copyright holder. 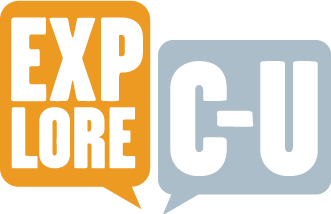 Hakeem Barre, Alexander Brosh, and Jinhyeok Lim, “Mumford Farm House,” ExploreCU, accessed April 20, 2019, https://explorecu.org/items/show/272. Mumford House Red Folder Letter: "Illinois Historic Preservation Agency" November 15, 1989. 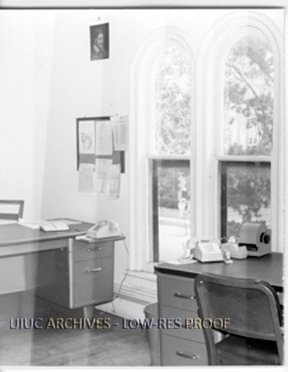 University Archives File, 1963-, Record Series 35/36, [Mumford House], University of Illinois Archives "Campus of the University of Illinois at Urbana-Champaign." Wikipedia. Wikimedia Foundation, 20 Nov. 2013. Web. 20 Nov. 2013 <http://en.wikipedia.org/wiki/Campus_of_the_University_of_Illinois_at_Urbana-Champaign>. Drury, John. "Old Illinois Houses Mumford House, Urbana." Old Illinois Houses. Chicago, London: University of Chicago, 1977. 119-20. Old Illinois Houses Mumford House, Urbana. 10 Dec. 2007. Web. 16 Nov. 2013. <http://penelope.uchicago.edu/Thayer/E/Gazetteer/Places/America/United_States/Illinois/_Texts/DRUOIH/Central_Illinois/37*.html>. "Mumford House." CU WIKI. N.p., 28 Oct. 2013. Web. 21 Nov. 2013. <http://cuwiki.net/Mumford_House>. 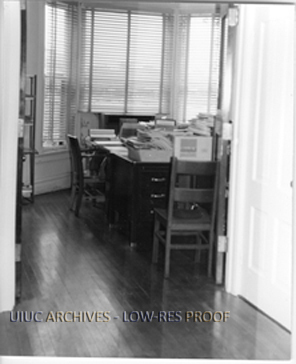 "Mumford House - University of Illinois Archives." University of Illinois Archives. N.p., 2011. Web. 19 Nov. 2013. <http://cooper.library.uiuc.edu/archives/archon/?p=digitallibrary/digitalcontent>.